Established in 1989 by partners Keith Applegate and Chris Palmer, K & C engineering has a workforce of time served employees with many years of experience, which has helped us gain a reputation of the highest standard. 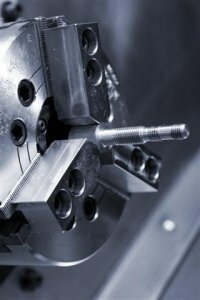 We offer services in toolmaking, milling, turning and surface grinding. 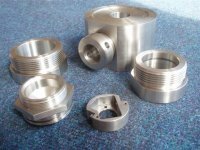 With a workshop consisting of manual, Part CNC and full CNC machines enabling us to be very competitive in all ranges of production including one-off's, proto-types and batch work. K&C engineering apply their services to just about every kind of industry, including Food, oil, technology, packaging, medical and even double glazing. We are able to work with almost every type of material, ranging of plastics, tufnol, brass, aluminium, mild steel, stainless steel and exotic metals such as titanium etc. We pride ourselves on quality and commitment to the customer, ensuring that when you want the job you get it. Whether it's needed next week, next day or even same day. If possible we will do our up-most to get it delivered. From this commitment we have built up a very loyal customer base ranging across the UK. However, we are always looking to expand our customer base and no matter how large or small a customer you might be, you would still get the quality and commitment from our team. Call the specialists in Engineering in Great Yarmouth and Toolmaking in Great Yarmouth today. We look forward to hearing from you.